Patio heaters are the best for the spring season when nights become cool. It helps you a lot when you are preparing a pool party to entertain your guests. A patio heater also helps you to enjoy its heat as well as the soothing atmosphere on those lovely mild winter nights, sitting on a swing in your doorways, and sipping a cup of your favorite Joe, and watching the snow fall. Lava Heat Italia is a high-quality heater. It is designed sleek to add sophistication to your patio. It provides sufficient heating for medium sized outdoor or patio areas. Want a small and compact one, this one holds a 4000 watts heating element, to provide sufficient heat for fall and spring. Combining infrared technology with thick steel coils and translucent fused quartz heating element, it gives enough radiant heating to continuously heat up space of 130 sq. ft.
Made from high-quality corrosion and weather resistant stainless steel, mirror-finish spectral reflector, and an adjustable bracket, it can allow you to supply heat in any direction where ever you want. It needs 230 – 240 Volts. You can hang it from the ceiling or mount it on a wall. It emits a subtle amber glow which add more beauty and entertaining atmosphere. The package includes wireless remote, ceiling pole and recess kit for assembling the heater. Require professional assistance for installation. It is electric heater which is smaller in size. However, don’t be confused by its smaller size because it can provide lots of warmth with 1500 watts. It has range of 9 ft., and its carbon fiber bulb provides around 5000 plus hrs. of lamp life. It is versatile, it can be used for indoor as well as outdoors because it is a free-standing device with rust resistant pole and stand as well as adjustable weatherproof. You can also mount it with the help of universal mounting bracket. It includes a 6 ft. the long cord which can be switched into any regular 110 or 120 V outlet. It comes with a remote with 3 heat settings. Its pyramid shape, dancing fame enclosed in a glass column made of ceramic, will make an appealing add-on to your patio, and spinning wheels give you effortless mobility. It is constructed from a high-end stainless steel material which is corrosion-resistant, and protective mesh layers the ceramic-glass column. Just start it with just a push-button, and 20lb gas tank gives 10 hrs. of continuous heating. Inbuilt safety valve automatically switch off the supply in an emergency. Thermo Tiki Deluxe outdoor heater includes heavy-duty gas regulator, premium weatherproof head, a flexible hose and element cover for the storage. However, the package doesn’t include LPG bottle. This commercial outdoor heater boasts strong heat of 46,000 BTU’s that makes it best for small or medium size space, no matter you use it on your pool deck or to relax out on the patio. It comes with wheels, therefore you can move this patio heater easily where you want, and soft gold color glow adds up an ambiance of a dreamy date or cocktail party. Heater’s column is constructed from sturdy steel with a powdered-coated bronze finish to protect it in extreme weathers. It includes a solid base and base reservoir can be filled with sand to add extra stability in breezy conditions. It is also meant to switch off when it’s tipped over by an accident. It’s easier to switch this device on with the push button, and a 20lb tank is good for 10 hours. Control knob lets you adjust heat to the desired level. Remember to take out the protective layer on the reflector before using it, else, it may catch fire. Lava Heat Italia is best if you like to use natural gas. Be it an evening dinner with friend or a midnight pool dive on spring evening, its omnidirectional 360 degrees flame column pumps a fine amount of heat out with around 58,000 BTU’s that can provide heating for a 20 ft. area. Its sleek, compact and stylish design and heritage bronze finish make it attractive for any home. It is made from sturdy and long-lasting stainless steel. Its 4 ft. Borosilicate glass tube can withstand extreme temperatures. If it is knocked or tilted, it automatically shut itself off. Despite its tough weatherproof steel material it’s lightweight, and its wheels make it easier to move. 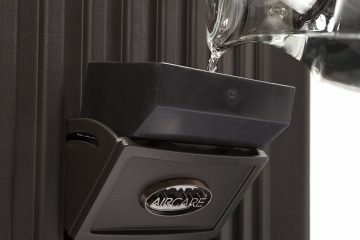 Its gas hook-up is simple to attach with electric infrared ignition, and side panels are made from steel to protect its gas tank that can store around 20lb propane to give you 10 hrs. of consistent heating. Although quite expensive, it’s an economical heater which saves your money on the gas bill. It also includes 10 ft. quick connect supply line. For a manageable heat supply, this one is fine. It is incredibly versatile because it can heat up a covered patio in your home or it can be placed on table top for outdoor. With around 10,000 BTU’s Endless Summer GLT1343SP is perfect for small spaces. Its appealing faux stone black powder coated gloss add a touch of sophistication to any dinner party and comfort for spring evenings. It includes a electronic ignition in a hidden control panel on its decorative base to store gas bottle safely. It’s another versatile heater with modern design to add elegance to small covered outdoor gazebo or patio. It can also be used for indoor spaces like a barn or garage. This heater is made from stainless steel with elegant copper finish. Be it a an intimate dinner on poolside or sitting out, it supply warm amber glow as well as gives a fair amount of warmth for chilling autumn nights or summer evenings. Backed by 1500 watts, it works on standard 110-volt and can be hung from exposed beams on the ceiling. For best results, make sure that it is hung exactly over the sitting area or table. Moreover, also ensure that its bottom should be 36 inches above seating area. Although it doesn’t provide lots of warmth for open spaces, it works best for enclosed spaces. Best for small enclosed spaces. Is your patio large, small or medium? Will, it is used on the front porch, on patio, large or small dining setup, in a gazebo or on a pool deck? Consider the size and the type of the area. Another important thing is that although freestanding patio heaters can supply lots of heat, they work best in a covered outdoor space. Whether you prefer natural gas or propane or electric gas heater. If you prefer gas-powered tabletop or free-standing patio heater, then check the BTU’s it can generate. Small tabletop heaters supply 3,000 – 10,000 BTU’s that is enough for a small table or small patio which can be suitable for 4 or 5 people. 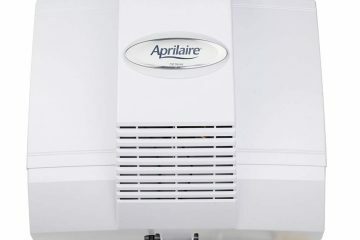 38,000 BTU’s are perfect for small to mid-sized pool decks or patios. More powerful or larger heaters such as gas-powered freestanding heaters can supply more for larger areas. 48,000 – 58,000 BTU’s is best for a medium to a larger sized patio or for an entertaining area. Choose the overall design. 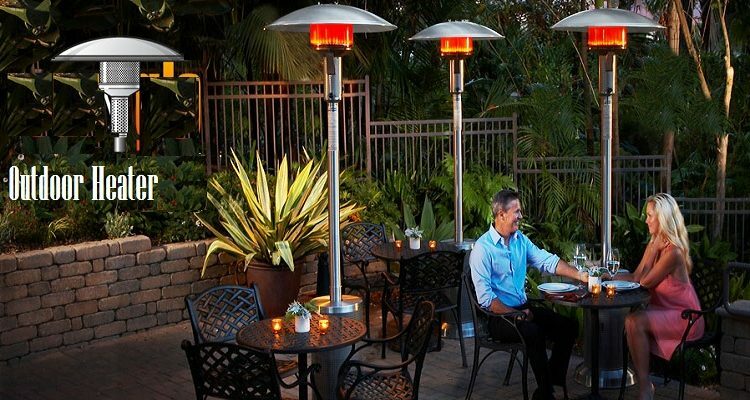 Freestanding, tabletop, hanging or wall mounted are more common designs of outdoor heaters. Freestanding is best for outdoor, restaurants and local café. They have a sturdy base, and they generally stand at around 7 to 8 ft. tall and their flame may or may not be visible. As they are powered by gas, they supply a fair amount fair amount of heat and are best for pool deck or mid-sized patio. Some of them are portable and have wheels. Electric, wall-mounted heaters are best for the small entertaining area where you like to keep the floor clear. If you have pets and kids, wall-mounted are best as they can be placed safely. 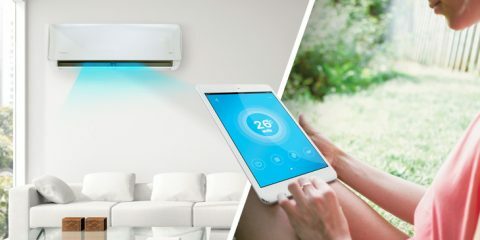 These heaters don’t generate fumes that makes them environment-friendly. Tabletop heaters generate enough heat for small dining setup for up to 4 persons. Because of their attractive design, these heaters can also be used as an extra decorative element and keep 1 or 2 on pool deck or table. They are lightweight, compact and portable. Hanging models gives less heat up to 9 feet. Therefore they are best for enclosed areas such as gazebo or porch. If you want to hang them on a table, they work best when hung lower on dining setup, for up to 2 to 4 people. Some of the hanging models are just like ceiling fans or as a chandelier, and they also cast an elegant ambient glow, and because they are powered by electricity, you don’t need to bother about fumes. Hanging patio heaters may require professional assistance for installation. For those DIY folks, can directly attach them to the roofs, rafters, and exposed wooden beams. Although freestanding models can supply higher BTU’s, for best results place them near where you sit. For those who like lots of entertaining or use the heater as a primary source for a large table, should get 2 free-standing heaters that can be placed at both ends of the table. If you want the strong tabletop heater, then I suggest buying 2 small ones to provide maximum heating and better portability and versatility. Most of the gas-powered heaters run on a simple 20lb tank that is enough for 10 hours of consistent heating. These patio heaters can be hooked up to natural gas supply that gives consistent heat, and there is no need for refilling the tank. Although it needs to professional installation, they are a more cost-effective option in the longer run. Almost all free-standing outdoor heaters have wheels to make them easy to move. An inbuilt safety valve is an excellent feature to look into any freestanding patio heater. This function allows the unit to automatically shut off the supply when the patio heater is tilted or knocked over. Lava Heat Italia Amazon -138 has a sleek design so it will add a bit of elegance and sophistication to your place. It supplies sufficient consistent heating for small to medium outdoor or patio. It’s best for anyone as it runs on natural gas. 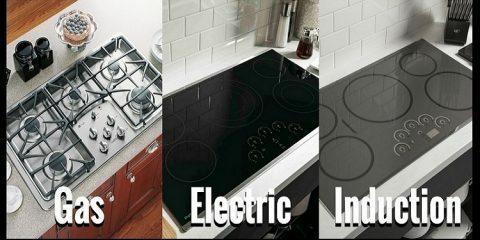 When you get it, you will receive a 10 feet quick connect gas line and 5 years limited warranty. So it saves your money on the operation as well as on purchase.